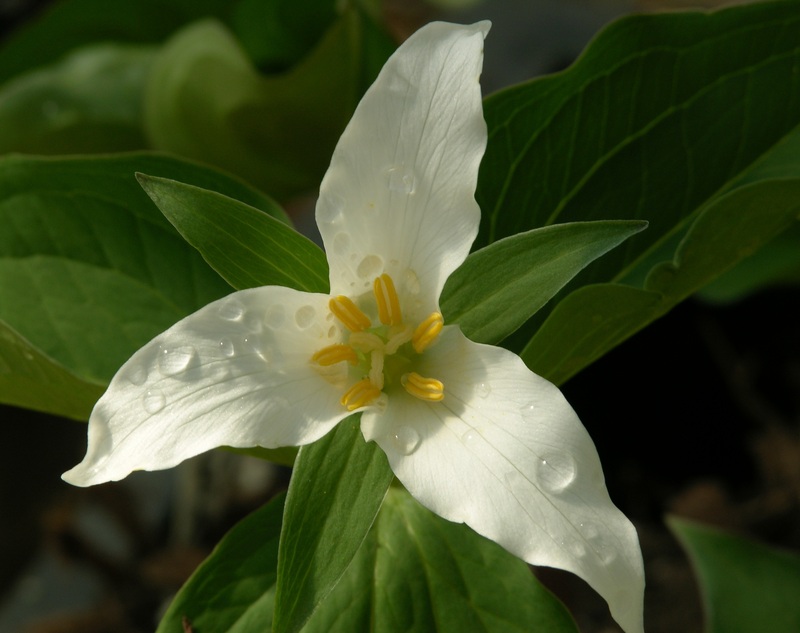 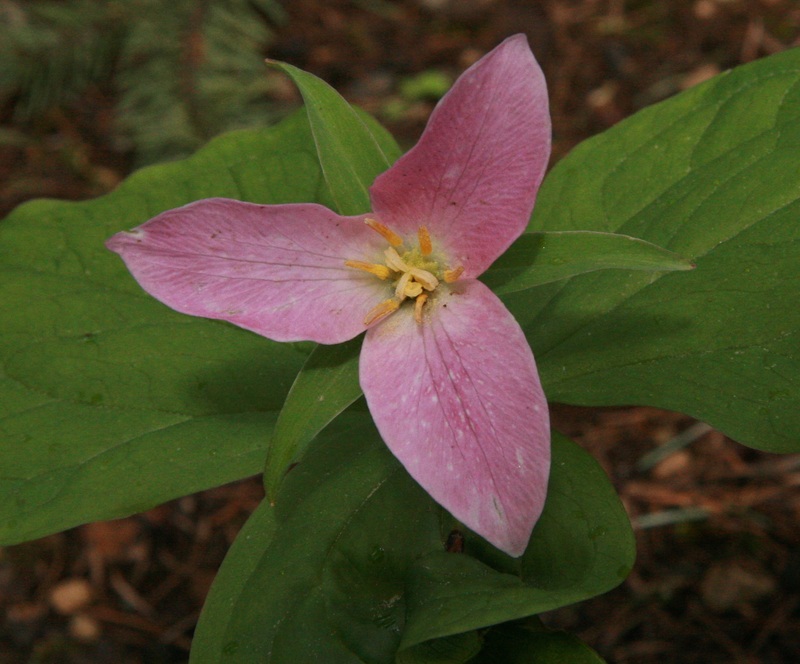 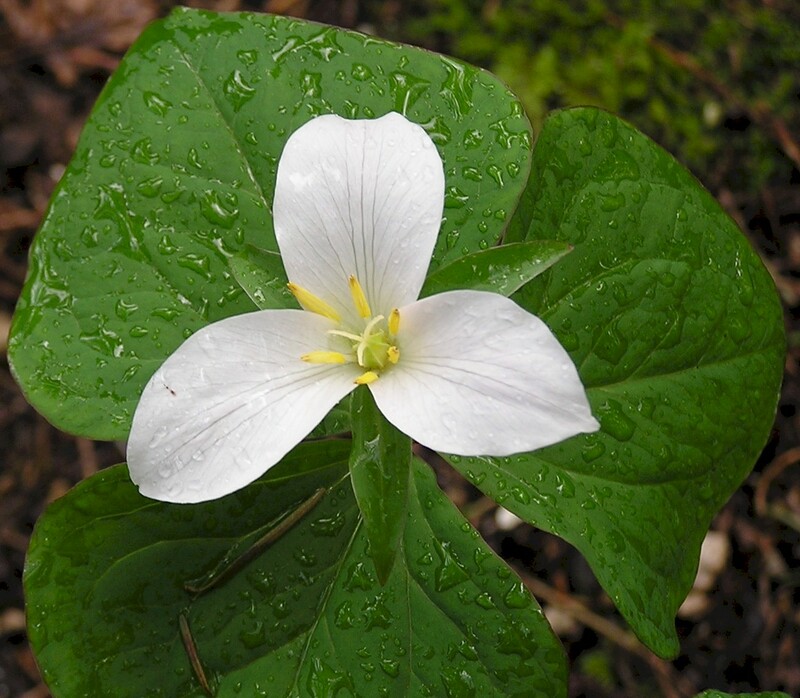 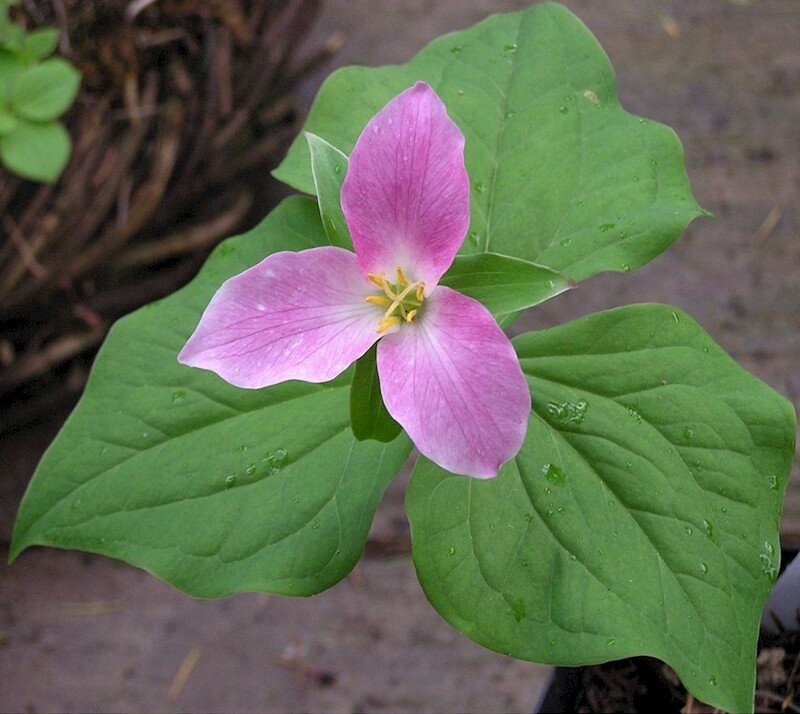 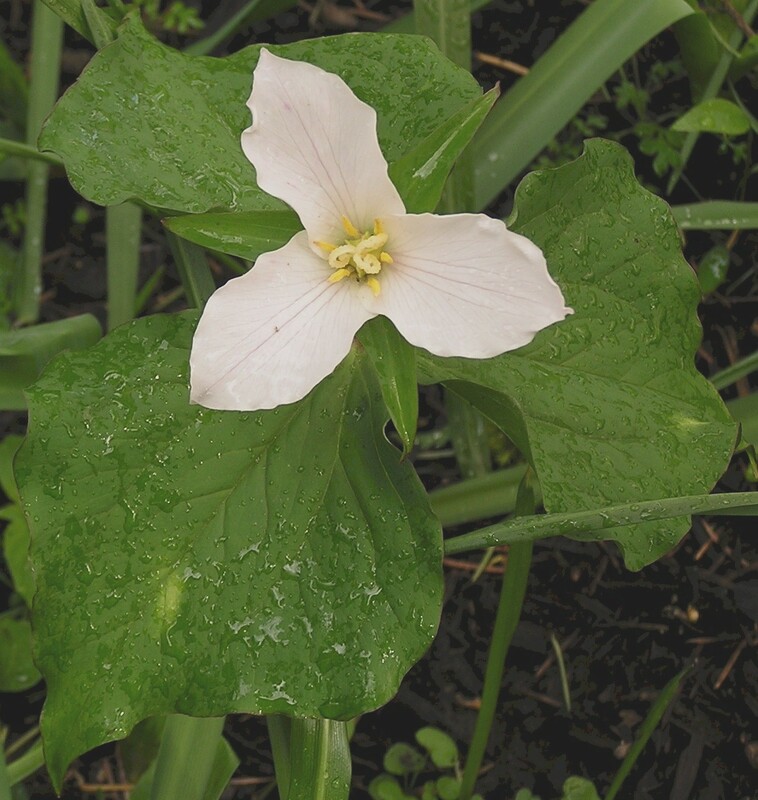 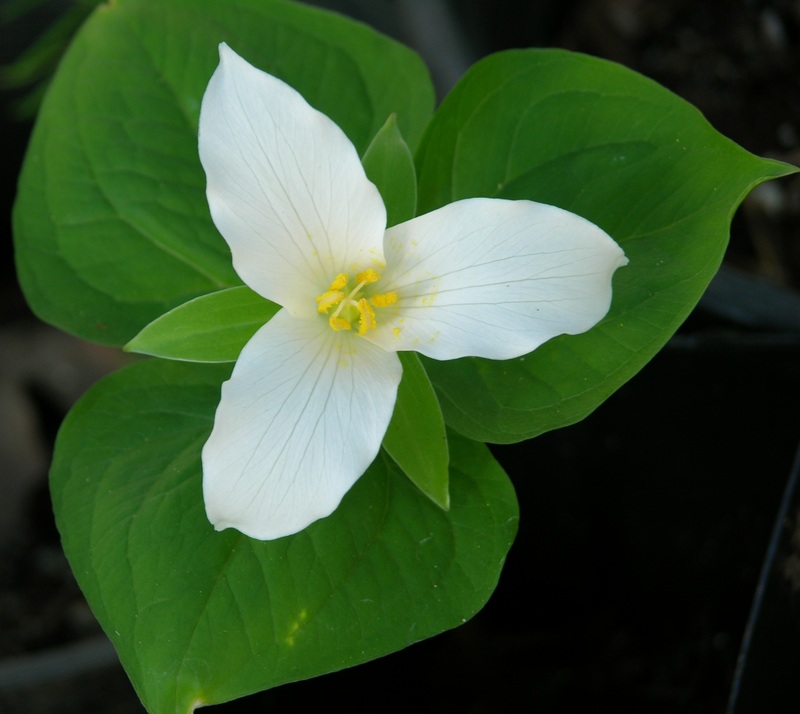 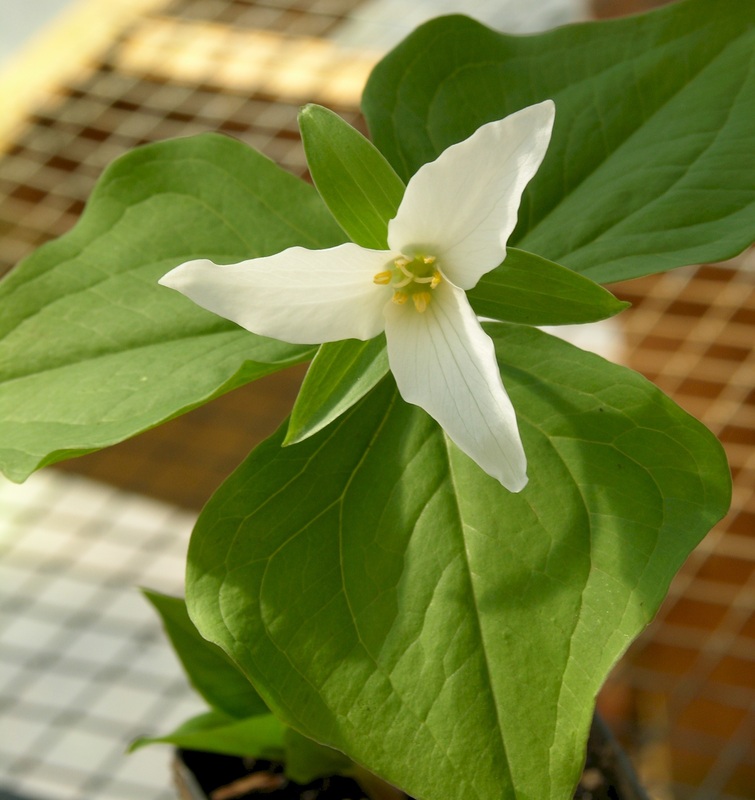 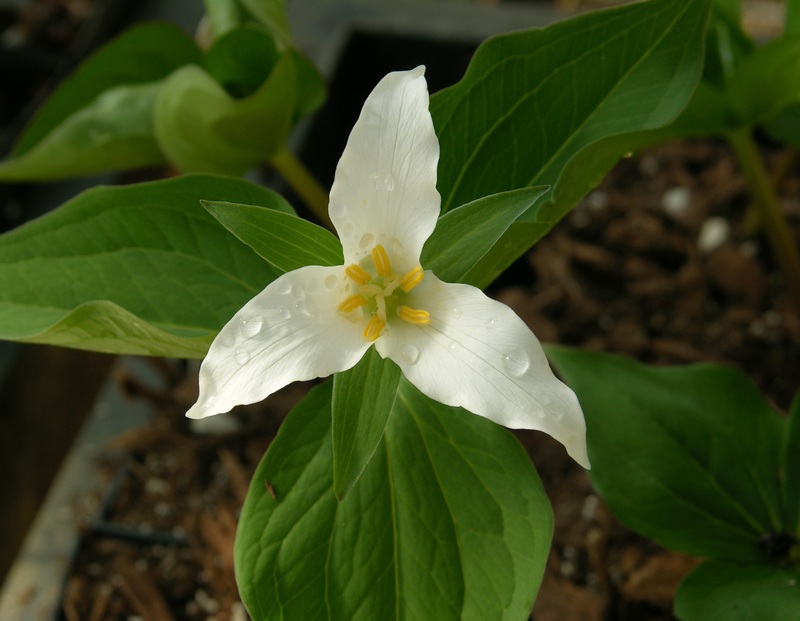 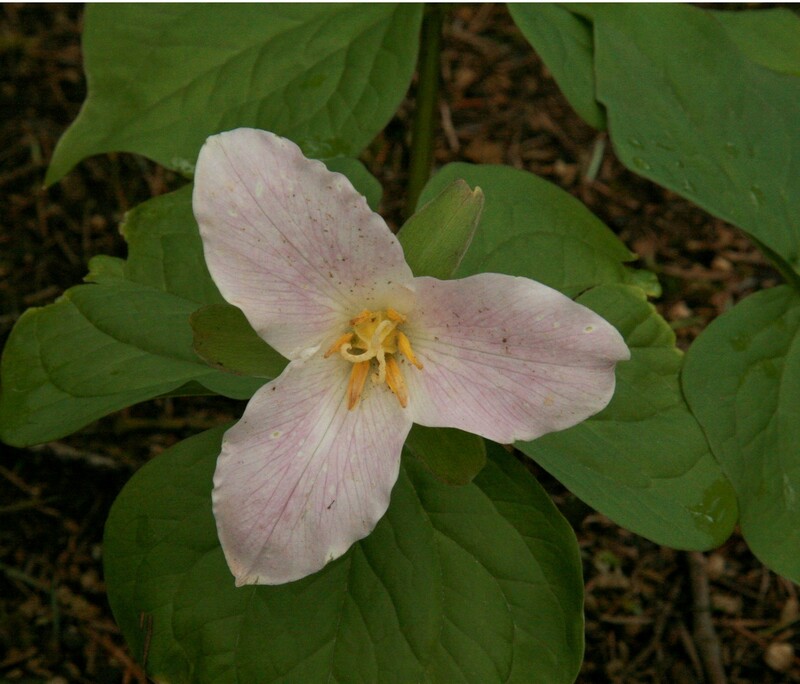 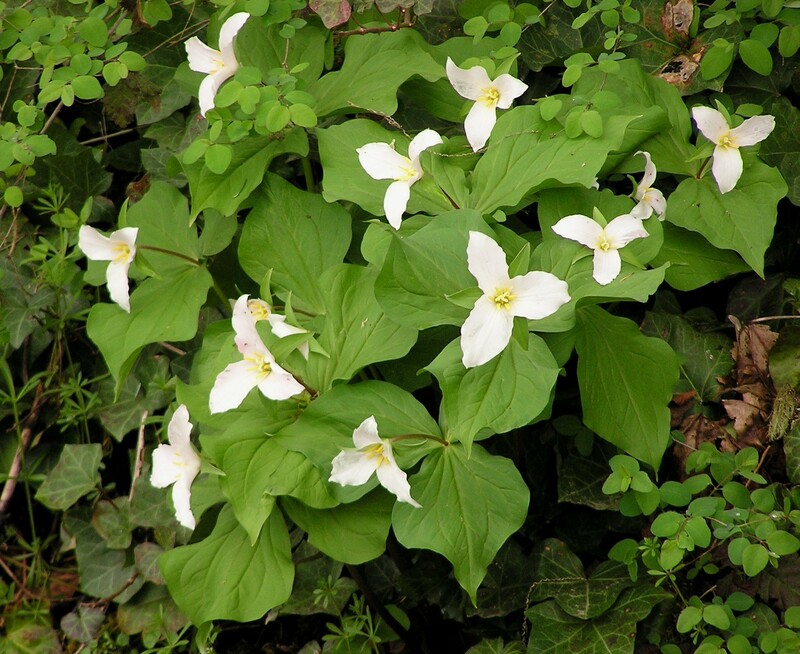 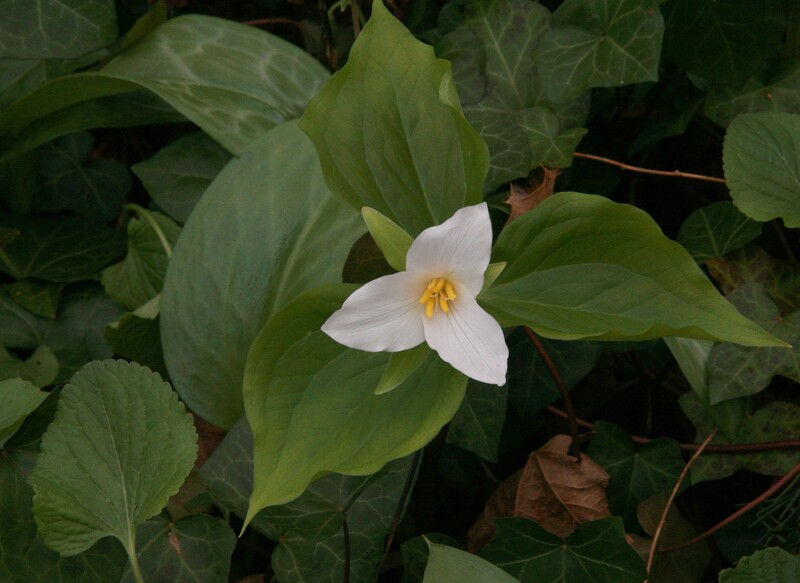 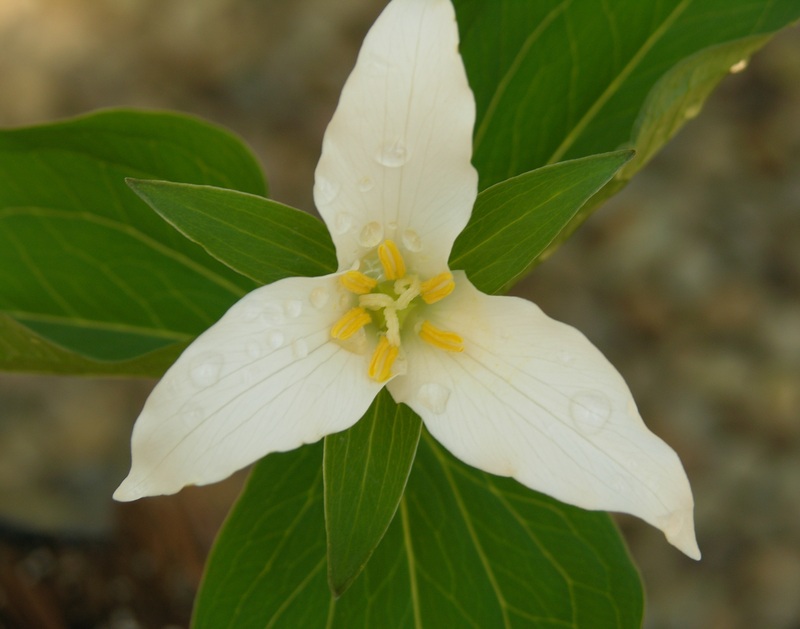 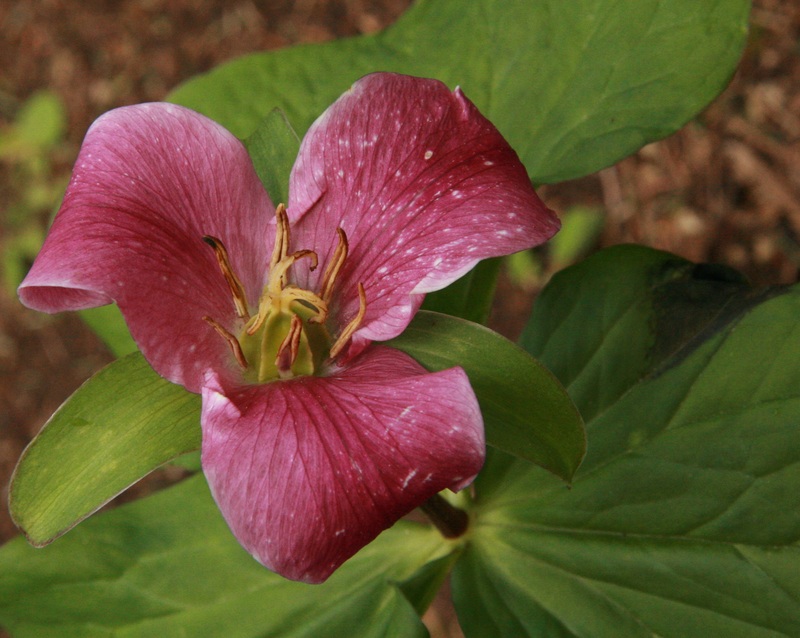 Trilliums are the most beautiful of all native flowers and this one is the common trillium of the northwest. 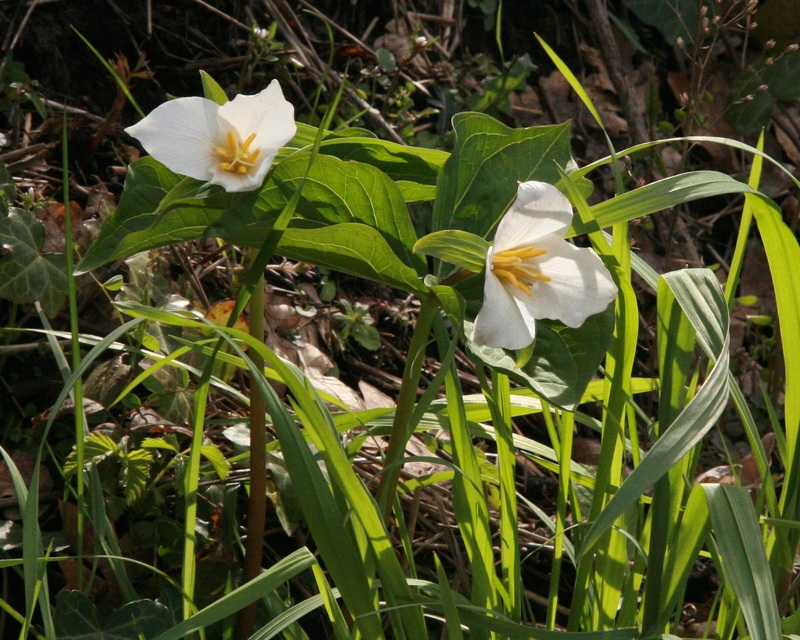 Single stalks bear three large leaves. 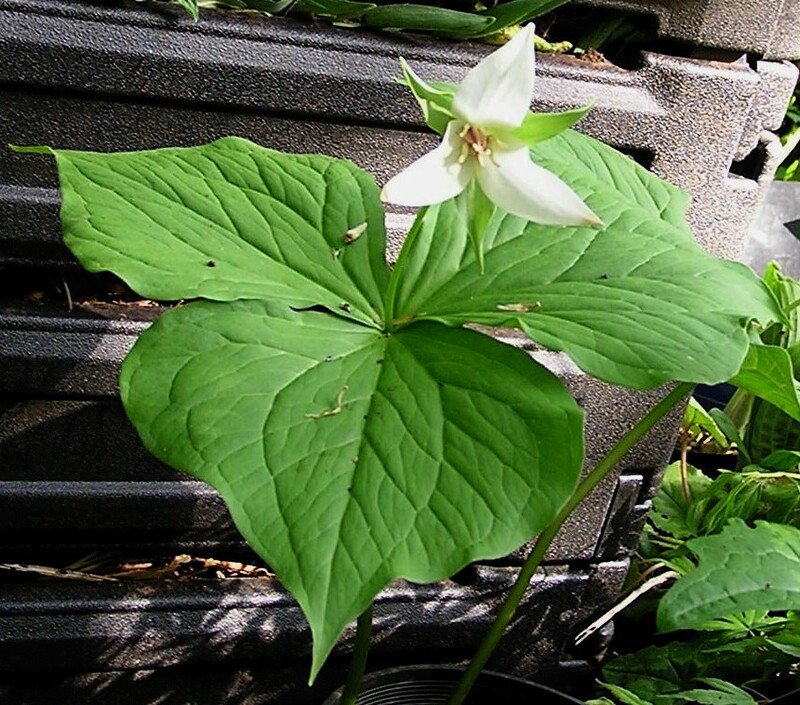 Close to Easter, a large white flower with three petals opens from a small stem above the leaves. 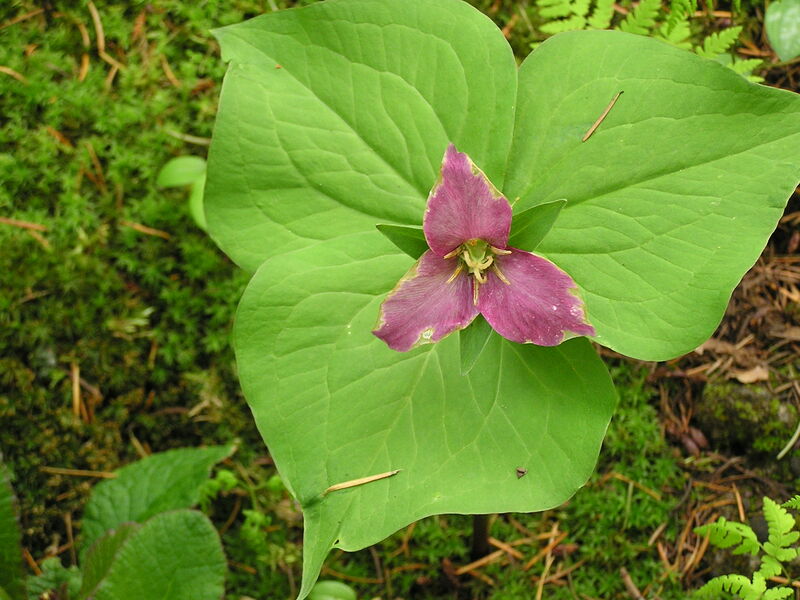 As it ages, the flower becomes a pleasing purple. 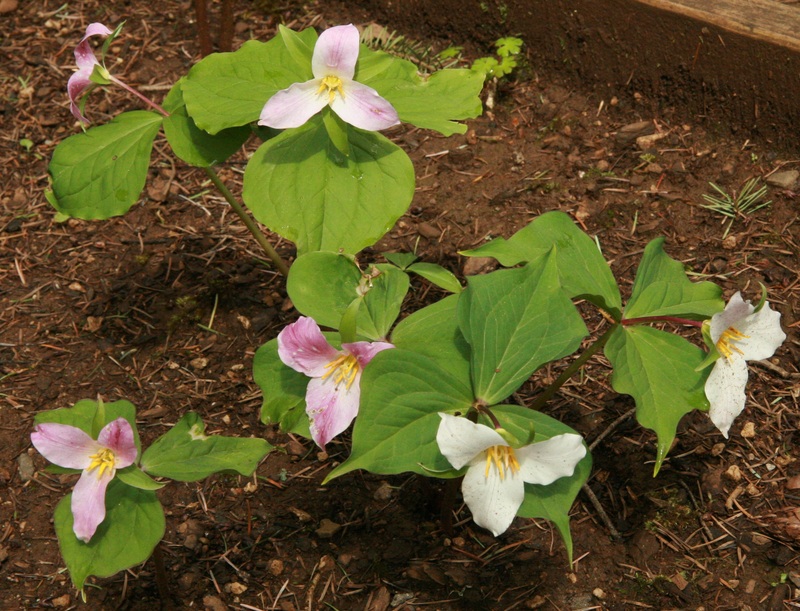 These flowers are small miracles of nature, requiring seven years to grow from seed to flower. 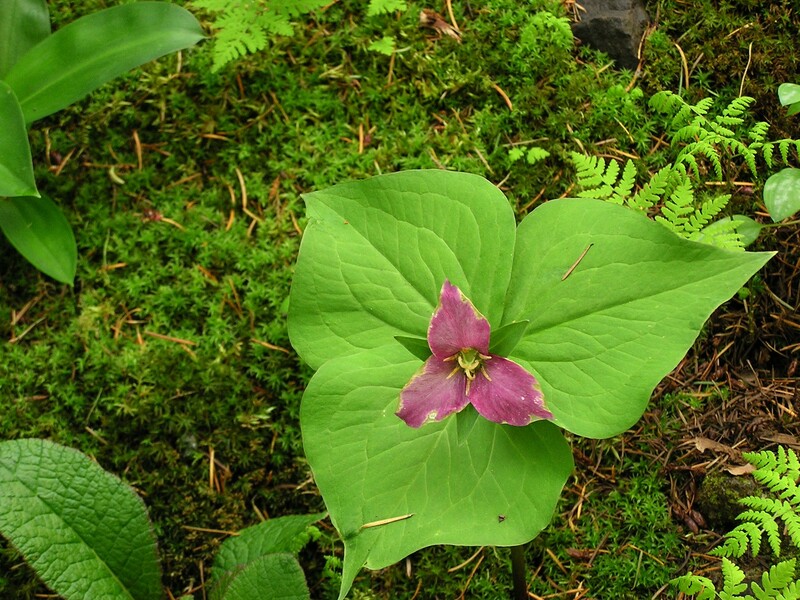 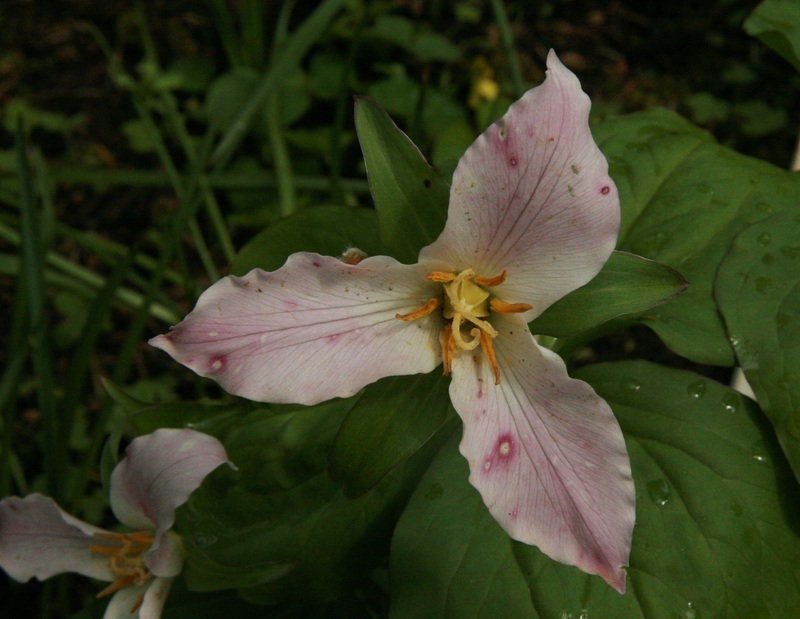 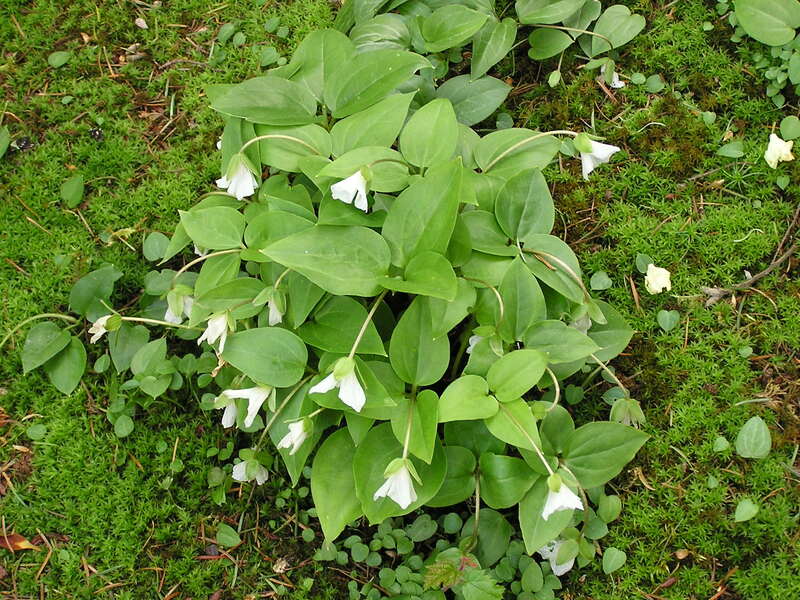 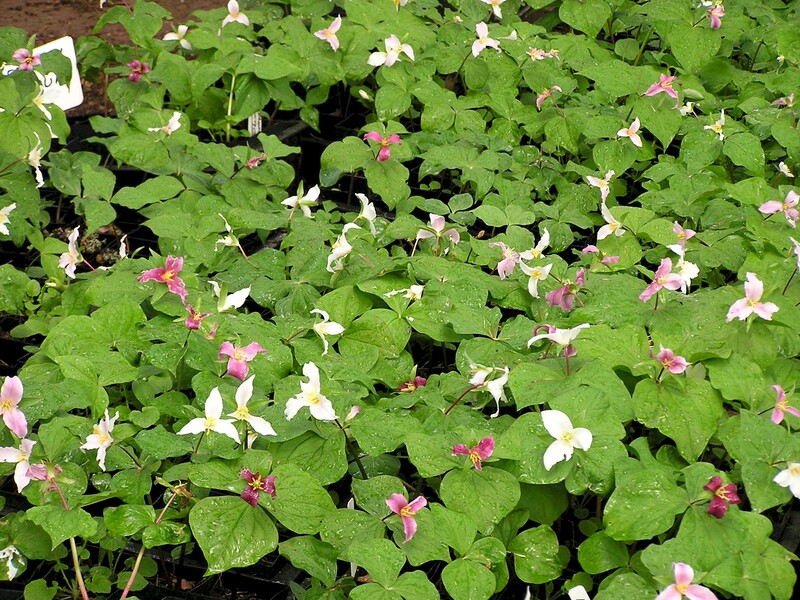 Found along the Pacific coast and inland throughout the Rocky Mountains (USDA 5-8), Western Trillium grows at low elevations and often along streams or seasonal waterways. 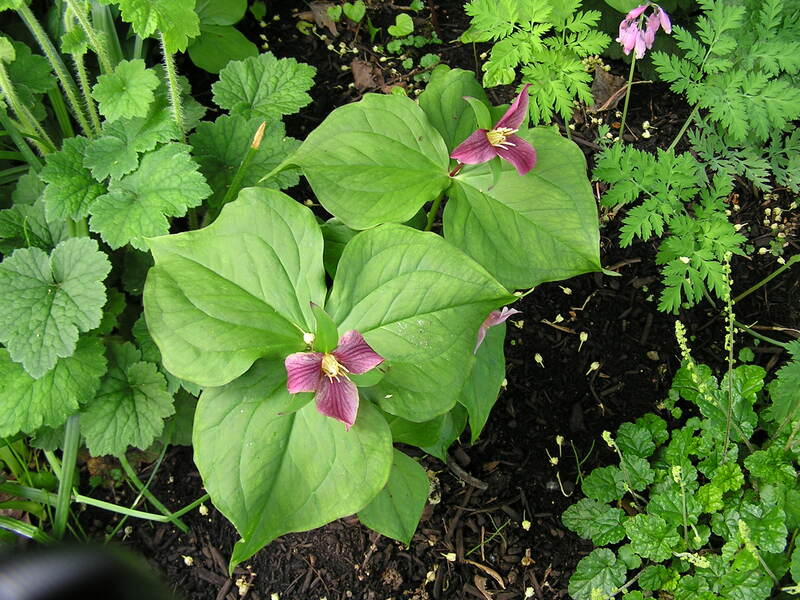 It will appreciate shade and rich soil. 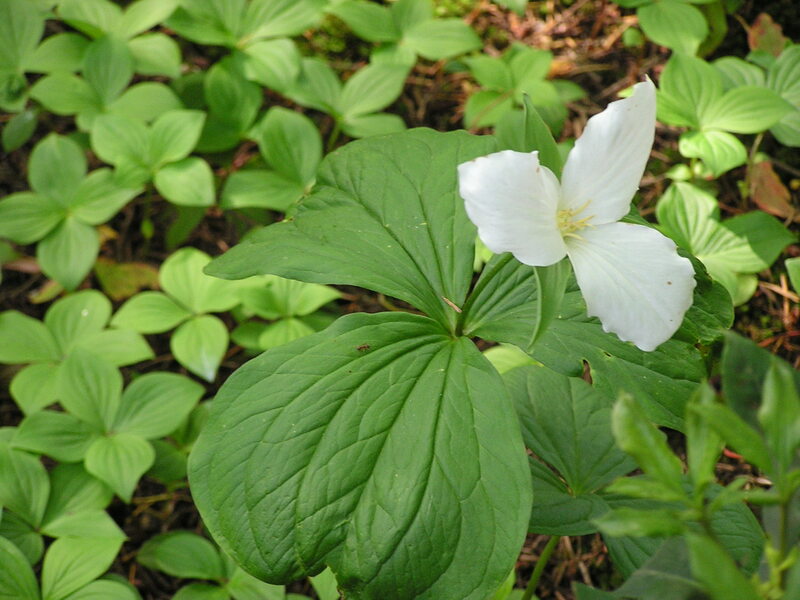 "I stuck my car in a mud hole one time, and when I walked around it to see what the lesson of the day was going to be I was somehow transported into a magical glade of maple trees. 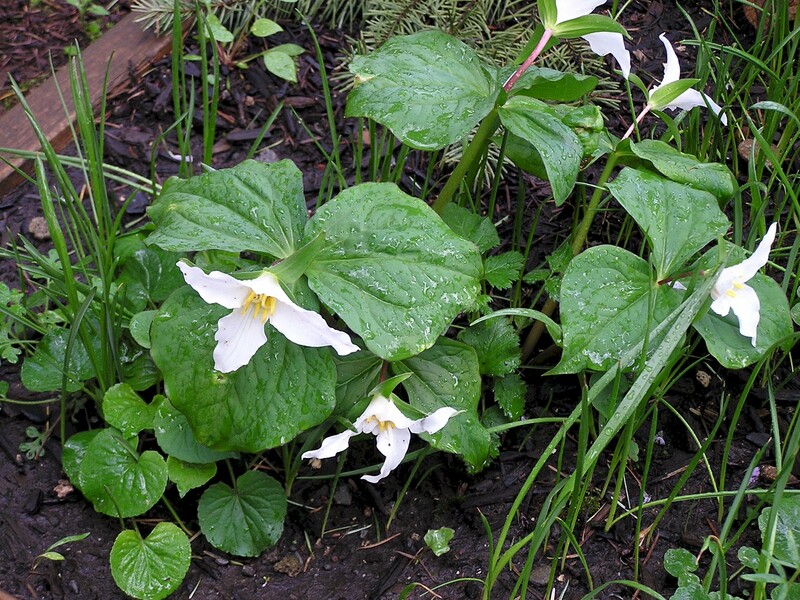 They were about half grown so there was light shade with an occasional sunray slipping in when a breeze lifted a leaf--you know what I mean. 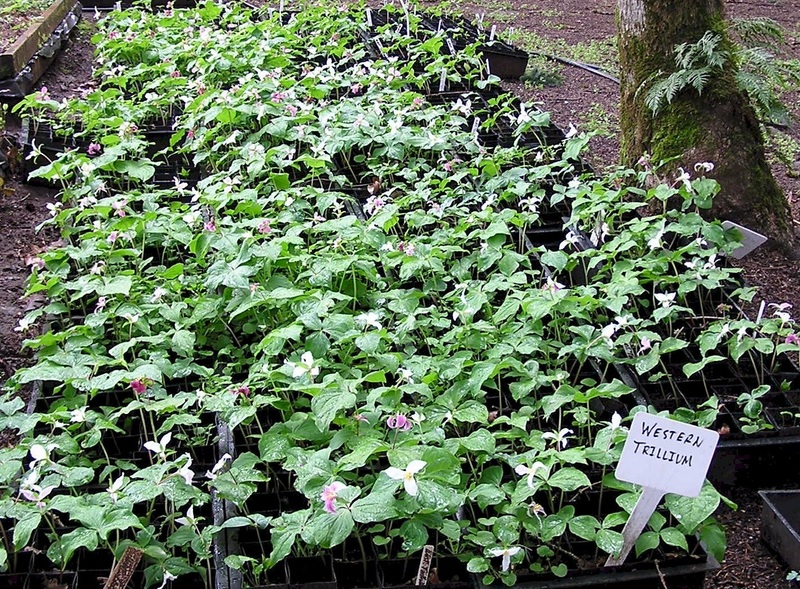 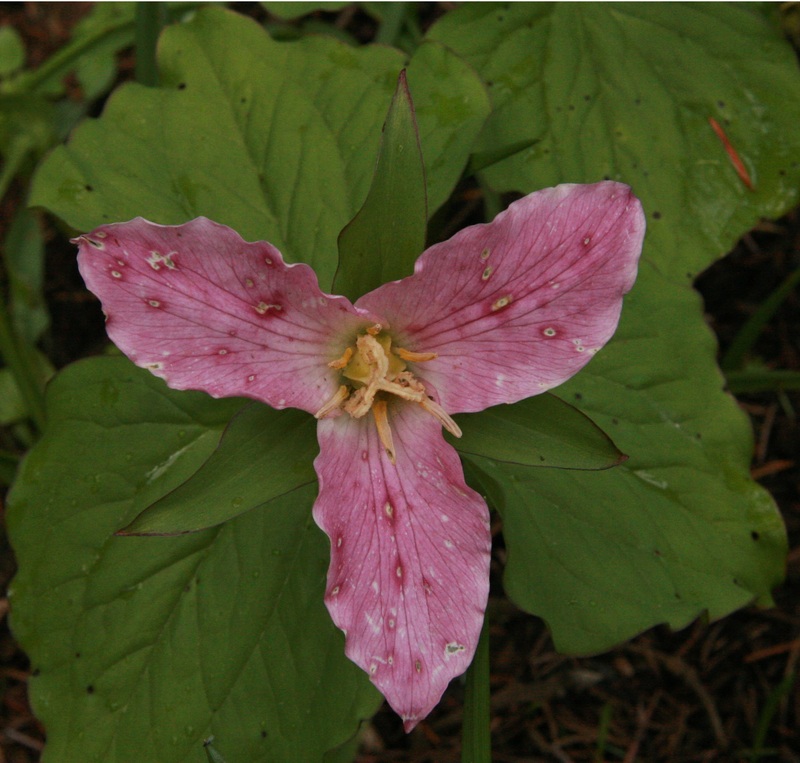 The ground beneath these 20-year-old youngsters was completely covered with trillium. 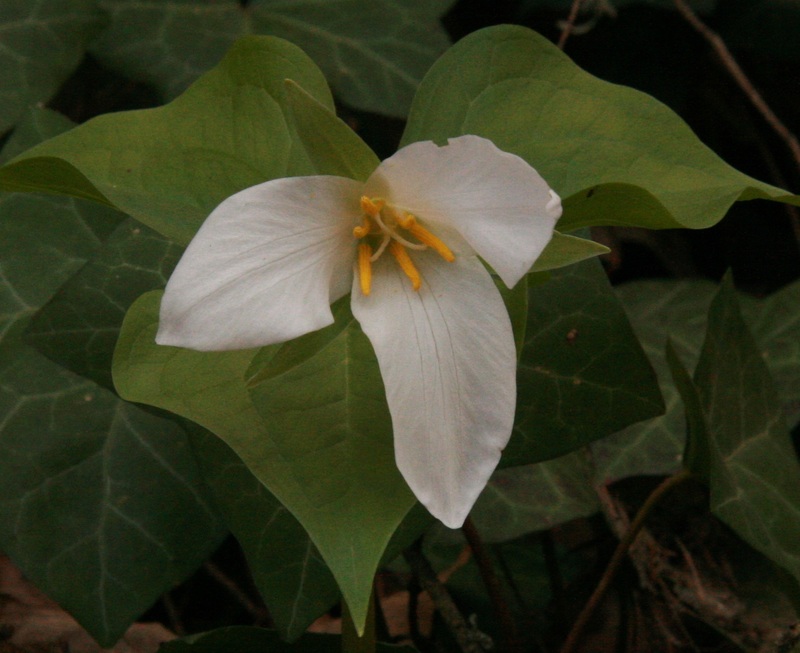 Never having seen one in person before, I stood quietly in awe and reverence of such a beautiful vision. 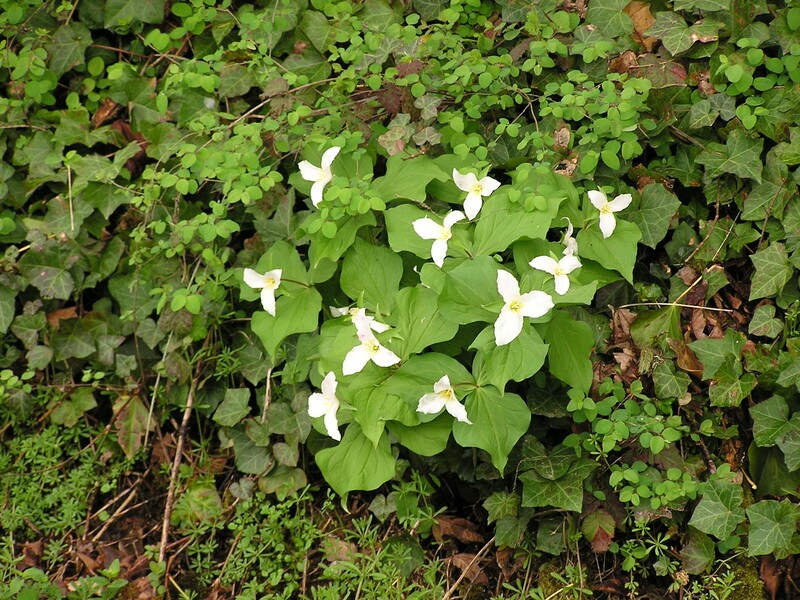 I saw neither elves or faeries but I am sure they were nearby."